"Hong Kong is a very visual city and we are flattered by so many images, but to stand still and to take the time to discover an unseen image is still a very exciting discovery"
With the Hong Kong International Photo Festival under way, the Goethe-Institut is presenting an exhibition on the neglected art of printed photography and photobooks. Visitors will have the chance to browse printed works by the winners of the German Photobook Award 2016, as well as volumes by local photographers, in an exhibition curated by Hong Kong photographer Dustin Shum. There's a wide range of photobooks on exhibition, from conceptual-artistic volumes and coffee table books, to photo history and photo text books. We speak to exhibition organiser Michaela Bodesheim about the works on display, and founder of the celebrated Fotobookfestival Kassel, Dieter Neubert - who is in Hong Kong on August 11 to share his insight on photobooks - on why people should pay more attention to these printed works. Michaela – how did you get in touch with this photo book award? And what made you decide to do it in Hong Kong? Bodesheim: Photobook is a medium that's interesting from two different perspectives. One, because it allows a photographer exposure of their own work. What I’ve learnt is that in Hong Kong, there are not enough possibilities for photographers to display their work or even to engage with the public to show what they do. Sometimes it’s only the book that serves as a document of what they’re doing. Photography has a universal language. It’s not dependent on the perfect use of an individual language. The books we're exhibiting can talk to our audience and the audience will be able to receive or perceive the books without having to know all the language used in these books. What we are showing this year for the first time in Hong Kong is the German Photobook Award. This is an award that annually looks at photobooks from different aspects, from the quality on the photo technique to the photo aesthetic aspect used, and in different formats like large coffee table books and photo manuals. How would you define a photobook? What makes it an artistic entity as opposed to simply a collection of photos? Neubert: A photobook in the best sense is an autonomous body of artistic work. 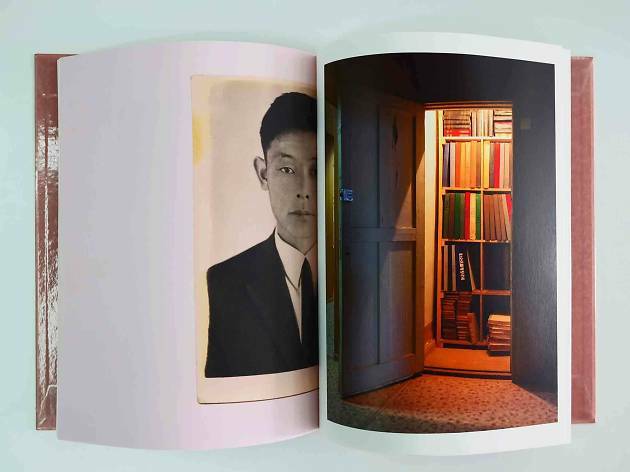 Photobooks provide photographers with a concentrated form in which to tell their stories. A book is easy to share, multiple, reasonable, and democratic. Photobooks have a rich potential to highlight a body of photographic work by exploiting their specific qualities as a medium through image editing, design and material. I think the book is a very important photographic medium, enabling the photographer to spread his ideas in an easy, physical, and sensual way. A collection of photos or traditional gallery or museum exhibitions go different ways than a photobook with regards to communicating through photographs. Would you say that compiling and creating a photobook is similar to a typical creative process? Neubert: Creating a photobook is of course a creative process. It requires not only an outstanding photographic language, but also the creative interaction between photographers, editors, designers and publishers. Extraordinary photobooks combine these different creative processes on a high-quality level. What qualities and factors do you think make an outstanding photobook? Neubert: A good photobook draws its substance from a unique, individual photographic language. That’s the basic requirement and the core of a photobook. An outstanding photobook combines this unique photographic language with a particular dramaturgy in the image sequencing and the subtle editing of double pages in interaction with the materiality of papers, binding, covers and format. Although an outstanding photobook can also be made very simple. 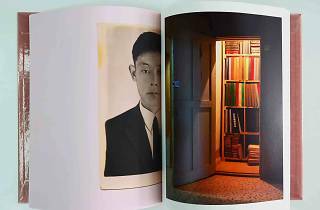 There are wide-ranging ways of using photobooks – from an extremely simple photocopied scrapbook to the book that looks as if it were issued by a big publishing company, from single experimental art pieces which cannot be easily multiplied to simple book forms for cheap and high-circulation production. All this and more is possible. Are there any under-the-radar Hong Kong photographers to look out for at the exhibition? Bodesheim: In this exhibition, there will be a selection of books that have been self-published. Because some photographers were unable to or have not yet found a publisher, so they're doing it at their own cost, at their own risk. That’s why we wanted to combine this exhibition encountering a German perspective but also encountering a Hong Kong perspective that is completely differently produced. Are there any significant photobooks from Asia that have really caught your attention? Do you see this genre expanding here? Neubert: There are a lot of fantastic photobooks from Asia. Japan, for instance, has not only developed a very specific photographic language, but also terrifically outstanding photobooks. Photobook masterpieces like Bye Bye Photography by Daido Moriyama or The Ravens by Masahisa Fukase are really significant in the history of photography, and today young photographers like Lieko Shiga, Rinko Kawauchi or now Daisuke Yokota are very good examples. Chinese photographers like Han Lei, Lin Zhipeng, Xu Yong or Xiao Zhang have also made great photobooks. Bodesheim: I was quite surprised by the lack of photobooks when I visited the Hong Kong Book Fair this month. I think we are filling a gap. Because of the format, cost and production of photography, photobooks are not so popular. So in addition to the German Photobook award, we are presenting a selection of photobooks from Hong Kong as another way to share the access to photobooks you may not able to see in a bookshop here. Why should people pay more attention to photo-books? Nuebert: I think that taking a closer look at photobooks can facilitate terrific new experiences. Many people still think that photobooks are just travel reports, journalistic documentations or simply exhibition catalogues. But they are not. If you have the chance to visit a photobook store, you can make some surprising discoveries. It’s a world of art which is different and which definitely will enrich your life. What do you feel Hong Kong audiences can gain and learn from this exhibition? Nuebert: It is always very helpful to look at new photobooks that have won awards, if you are interested in photography. And in the 2016 selection of best photobooks made by German publishers you will find some very good examples, like Viviane Sassen’s Umbra or Fazahl Sheihk’s The Erasure Trilogy. Bodesheim: Hong Kong is a very visual city and we are flattered by so many images, but to stand still and to take the time to discover an unseen image is still a very exciting discovery. This is what I wish people to do at this exhibition. To simply open their eyes to a different perspective.